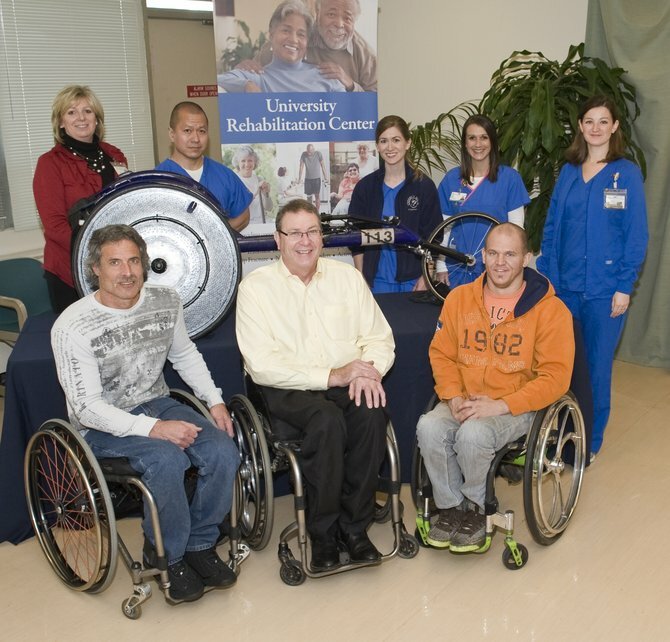 This presentation, our first, was at the University of Mississippi Rehabilitation Center. We were a little nervous and unsure of ourselves, but the meeting went well thanks to everyone being so gracious to us. Some of the staff even went out to lunch with us after the presentation which was nice since none of us were familiar with Jackson Mississippi. Friday Night we went out to get our pre-race dinner and you just never know who you will meet when so many people have flooded the town for the Big Event. This night proved to be no exception when we met a nice woman who held the door for us while entering a local restaurant. She was in great shape and looked like a runner, so we asked if she was running in the marathon the next day. Her name was Becky and she was going to run the half marathon the following day. Small World, her mission was to run a half marathon every weekend for 52 weeks where ever she can find one close to her home. How great is that, and after comparing our schedules, it looks like we will be crossing paths once again. One of the joy’s in doing all of these events is to be able to meet interesting people and to hear their stories. 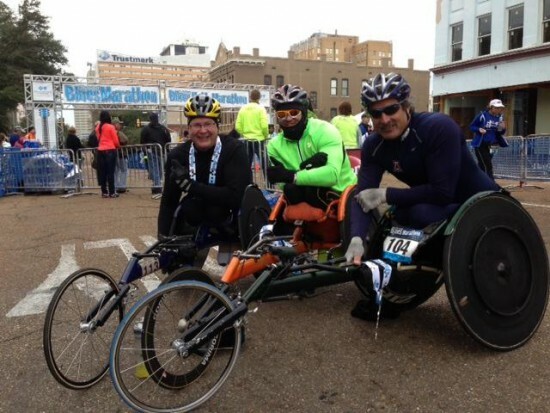 The race director had warned us that the course would be challenging with all the hills and rough roads, but it has never stopped any wheelchair racers from competing in the past. The other great news was the 36 degree temperature for the start of the race, Paul Erway had no problems with that since three of his fall marathons had that same temperature. There were two other participants in the wheelchair division that we were very glad to see also, Grant Berthiaume and Aaron Roux. Both knowing that hills and rough roads can be difficult but shouldn’t make it too challenging to compete.